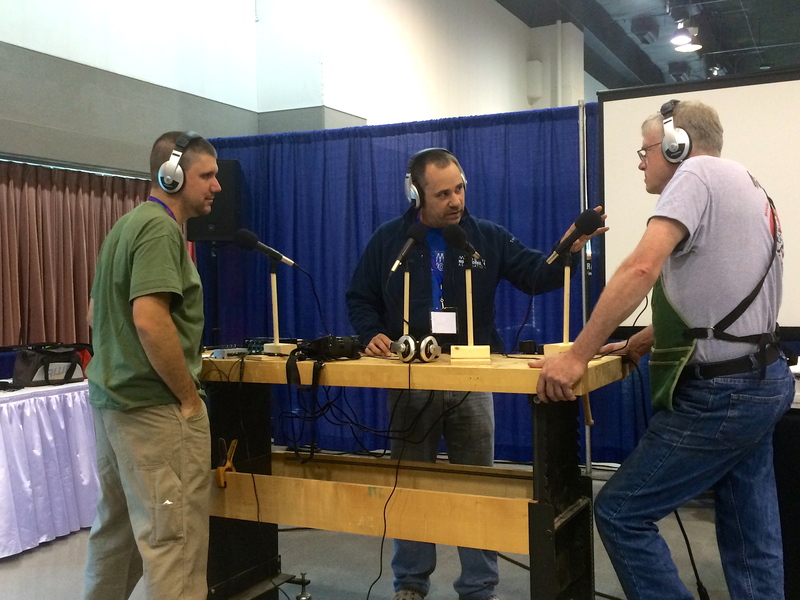 2015 marked my 4th year attending Woodworking in America (also known as WIA or in the case of this year #WIA15). 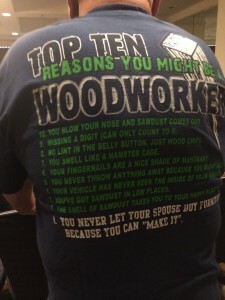 Despite the fact that Highland Woodworking hasn’t had a booth during any of these years, it is still fun for a few of us from the store to be able to attend the event to network with everyone and learn what’s new in the world of woodworking. It is a great opportunity for those who have a passion in woodworking to come together during one weekend a year and just hang out, while getting to learn more about their passion. 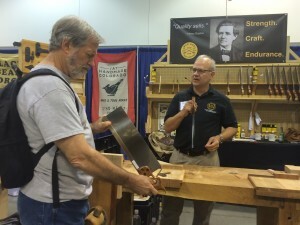 Five of us from Highland Woodworking attended this year. Me (Molly), Chris Bagby, Kelley Hibberd, Blair Downing, and Cooper van Rossum. This year we all had various agendas, which revolved around attending classes, speaking with vendors (both old and new), socializing with woodworkers, and trying to get as much of the action into video and photo form. This year’s event was held in Kansas City, MO for the first time. 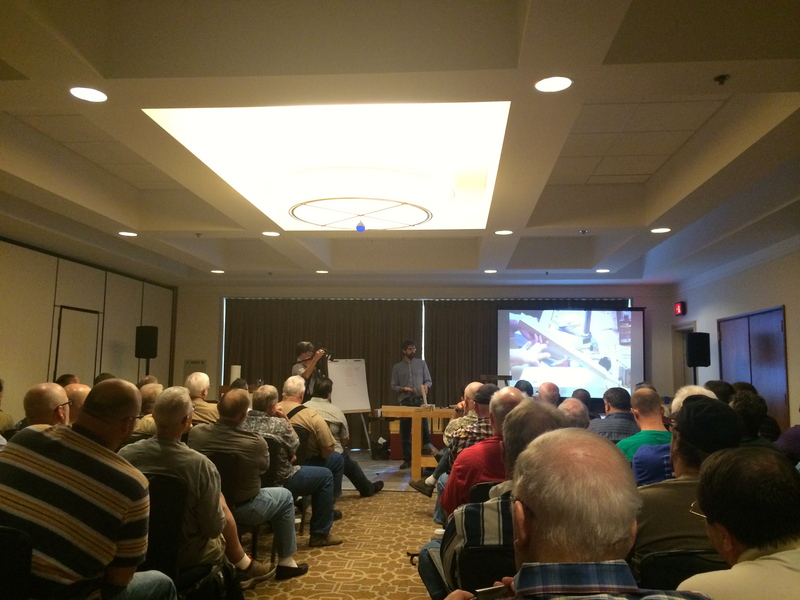 Lately, WIA has been traveling to a different city each year and I think with Kansas City being a very central location it allowed a lot of woodworkers to attend who haven’t been able to in years past. One of the coolest parts of the event being held in Kansas City meant that on the Thursday night before the event, we were graciously invited to the museum home of William “Bill” Robertson which was filled with beautiful antique tools, as well as a variety of exquisite miniatures that he is well-known for building. Also in attendance were several of our artisan toolmakers, including our newest vendor, Chris Vesper from Vesper Tools, who also helped organize the event. Also on Thursday evening, our friends from Modern Woodworker’s Association (MWA) hosted a get-together at the hotel restaurant/bar, which allowed us and a lot of other woodworkers in attendance to reunite with old friends who had met at past years WIA’s. This is a great opportunity to discuss the current projects being worked on back home, which tools you are excited to purchase in the marketplace, and whose classes you are eager to attend. Friday and Saturday were the main 2 days of the event, and were chock-full of classes, vendor demonstrations, tool buying, BBQ, and overall fun. I was able to attend bits of several classes including The Kerfing Plane & Resawing by Hand with Tom Fidgen, How to Make a Magazine with Megan Fitzpatrick from Popular Woodworking, Caring, Feeding, & Use of Marking Knives with Dave Jeske from Blue Spruce Toolworks, 3D Shapes with Rasps with Scott Meek, Chair Design with Jeff Miller, and The Unwritten History of Workbenches with Chris Schwarz, among others. Down in the Marketplace we got to visit with several of our vendors including Earlex, SawStop, Festool, Woodpeckers, Knew Concepts, Sterling Tool Works, Texas Heritage, Hamilton Woodworks, Bad Axe Toolworks, Lie-Nielsen Toolworks, Lost Art Press, and more! 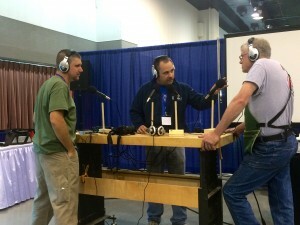 One of the cool parts about the Marketplace is that almost every hour they feature a special “ShopTalk” session, which either involves a live demonstration of a product, or a discussion about current woodworking industry news. I was able to attend several of these sessions including HVLP Spray Finishing Basics with Earlex, which involved in overview and demonstration of the Earlex Sprayport, a great tool for giving an even coat of finish to your projects. 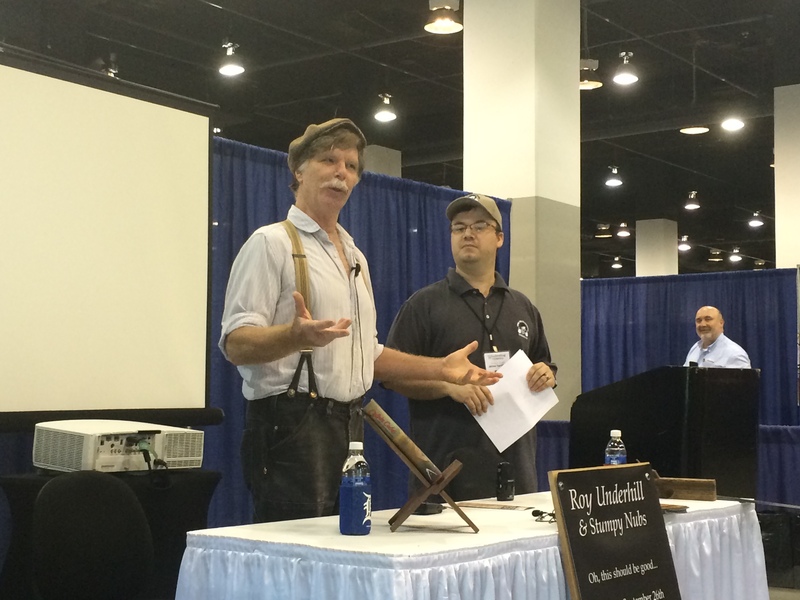 One of the most anticipated ShopTalk sessions was on Saturday and featured an interview of Roy Underhill, conducted by James Hamilton (Stumpy Nubs). I learned a lot about Roy in this interview, including the fact that he was a theatre major in college (hence why he began the interview session quoting Hamlet), and the fact that when he was pitching The Woodwright’s Shop for a 2nd time to PBS, he decided to bring his axe along with him just for a little bit of extra motivation for them to sign him. As you can see it was a very entertaining and insightful interview, which also provided a little extra pitch for his newest piece of fiction, Calvin Cobb – Radio Woodworker. 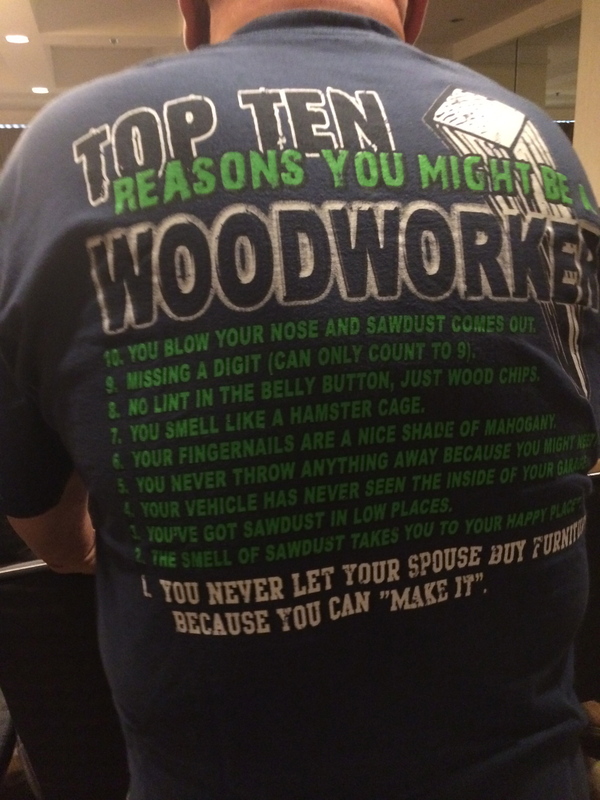 Overall, it was a very fun-filled 2.5 days and I think it really helps to bring out the camaraderie that can often be found in the woodworking world. I think one of the highlights for me was on Friday night when a group of 10 of us went to the famous Jack Stack Barbecue (one of the many highly acclaimed restaurants in the Kansas City BBQ scene). It was a 1.5 hour wait for a table so 8 of us ending up getting their takeout and went back to the hotel lobby to eat it together. It was pretty cool to be able to eat dinner with master craftsman, Jeff Miller! CLICK HERE and HERE to see our WIA 2015 Photo Albums. All of the national shows are great for those who live close or have the $ to spend to travel to them. However, not all us have the $ to travel (or the desire). I always wonder if it wouldn’t be better to have several regional shows rather than one national show? I think the vendors and demonstrators would reach more people in the long run that way. Something they should consider anyway.